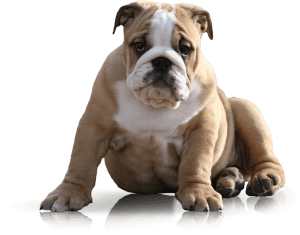 Some of our English Bulldog puppy videos. The videos are from Past litters of our Bulldog Puppies. Some puppies are older than others and not as developed. (not as many wrinkles, ears not back, etc) We Hope you like watching these videos as much as we do. English Bulldog puppies are the cutest! We have 5 videos. Click on the one you want to see or wait and they will load automatically. Refresh the page if videos do not load. We hope you enjoyed our English Bulldog Puppy videos. We have many more on our Facebook page. Thanks for watching!